We had so much fun taking Fremantle insideOUT! Together with the many cool and quirky shops of Market Street we organised insideOUT – celebrating Freo and local businesses! People could check out our outdoor co-working space and partake in activities such as the didgeridoo jamming session with Didgeridoo Breath, the bead workshop with The Bead Post, and ‘Talk Business” with Diana Simich. 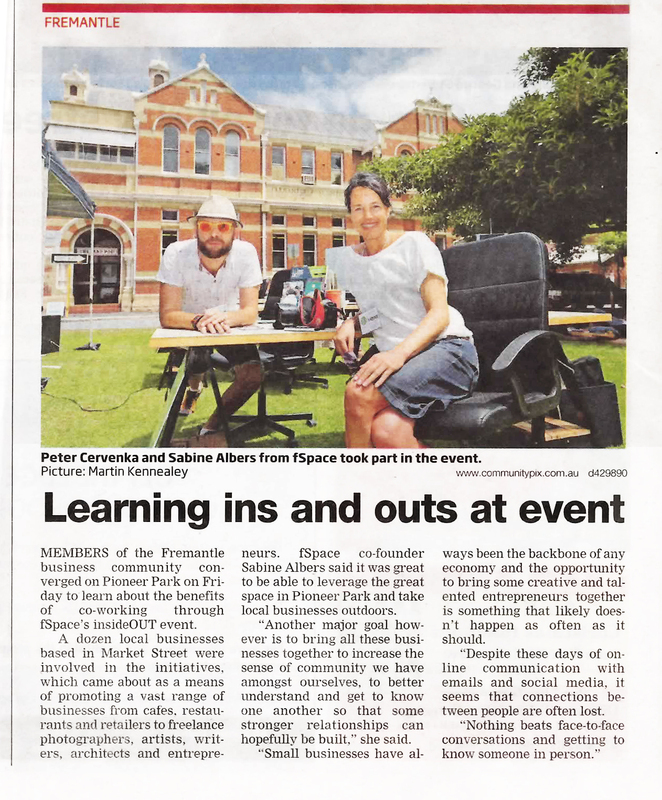 A big thank you to Fremantle BID for their support, and to everyone who worked so hard to make the first edition of the insideOUT event the great success that it was!